McFarlane Paving was established in 1959 by Peter McFarlane, the current owner. Our paving crew has worked together for many years, with its newest member joining the group 15 years ago. We work together to provide our customers in Bergen County with our many years of experience and a commitment to high quality workmanship at a fair price. As a reliable paving company in Bergen County, we make sure things are done right the first time, on time and to your satisfaction. Our skilled craftsmen create driveways and walkways in Bergen County that will enhance your home and express your personal style. When we do work for you, we will custom design your paved driveways or walkways to suit your needs, or we can follow a design you have created yourself. 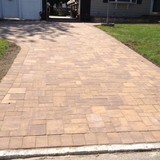 When you want high quality at great prices, choose McFarlane Paving in Bergen County, NJ. 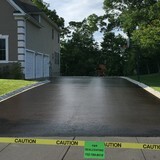 From installation to repair, Pompton Plains, NJ driveway contractors are responsible for a variety of planning, installation, construction and driveway maintenance services. Driveway materials. 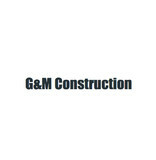 While most driveway contractors in Pompton Plains, NJ primarily work with asphalt, they are also experts on the wide range of available driveway materials. If you are looking for something different than a standard asphalt driveway, your pro can help you select driveway pavers or customize a brick driveway design. 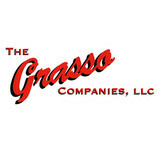 A driveway installation and maintenance professional may work closely with a Pompton Plains, NJ builder, landscape professional or various manufacturers and suppliers. 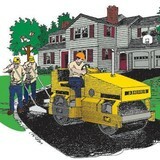 Find a Pompton Plains, NJ driveway installation and maintenance professional on Houzz. Narrow your search in the Professionals section of the website to Pompton Plains, NJ driveway installation and maintenance. You may also look through Pompton Plains, NJ photos to find examples of driveways that you like, then contact the professional or contractor who worked on them.